Visit the Science Library as we celebrate the opening of the School of Pharmacy and Pharmaceutical Sciences building on the Health Sciences Campus in Johnson City. 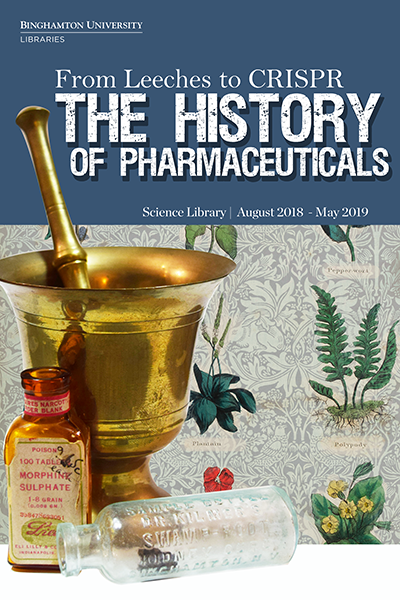 From Leeches to CRISPR: A History of Pharmaceuticals showcases a timeline detailing pharmaceutical advances spanning history from 3000 BCE to present day alongside books and library materials. Pharmaceutical tools and artifacts, provided by Dr. Leon E. Cosler from the School of Pharmacy and Pharmaceutical Sciences, are also featured. 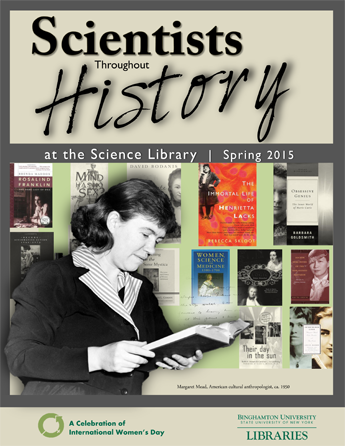 This exhibit is located in the Information Commons on the first floor of the Science Library. It will be on display through May, 2019. Can you crack the secret code? 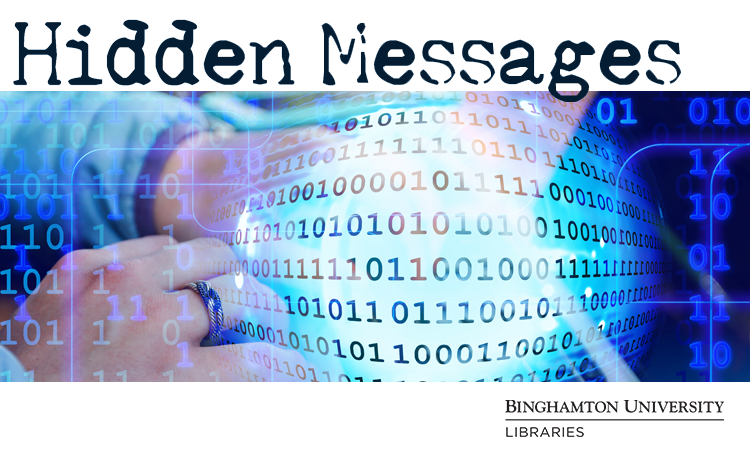 Hidden Messages: Steganography, Cryptology and Digital Watermarking gavve viewers a glimpse into the science of covert communication. Featured books and materials allowed visitors to discover the different methods of hiding information, whether it is embedding images within images or an encrypting algorithm. Swim or hop into a good book about animals. Animals of the Land and Sea features books and materials from the Science Library collection. From amphibians to zebras, viewers learn about animals that swim, scurry or gallop and the scientists who study them. There is something for everyone. 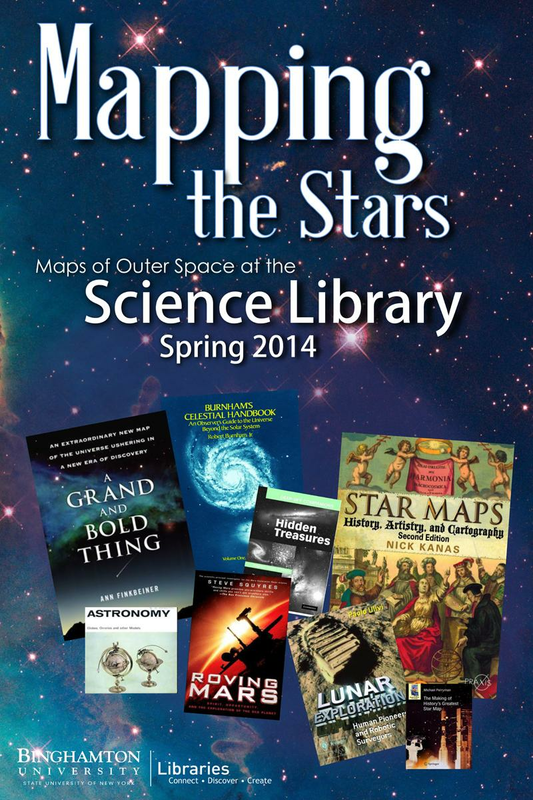 This exhibit is in the Information Commons on the first floor of the Science Library. It will be on display until May 19, 2016. This exhibit featured books on fossils and encouraged viewers to learnwhat fossils can teach us, who the scientists behind fossil hunting are, and how you can look for your own right near Binghamton University. This exhibit showcased "Scientists throughout History," a collection of biographies and autobiographies that span both time and scientific disciplines. From the early alchemists such as Anna Maria Ziegerlin, to doctors of the 20th century such as Dr. Margaret Chung – these individuals have made a positive impact on society. Scientists have shaped our understanding of the world around us, improved and saved lives, and pioneered discovery and success for others. The skilled artist’s hand has created works to both study and record scientific discovery and research for hundreds of years. This exhibit showcased the roles that visuals play in science, and celebrates the artistic merit of this imagery. 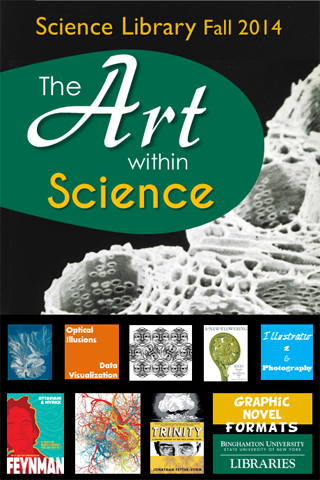 On display were scientist biographies in graphic novel format, stunning botanical illustrations, microphotography that could pass as abstract expressionist paintings, lush nature photography, and more. This exhibit featured a comparison of sky atlas images through the ages, old and modern methods of stellar and solar system cartography, current exploration of Mars and the Moon, and maps viewers could use to discover the features of the night sky for themselves. 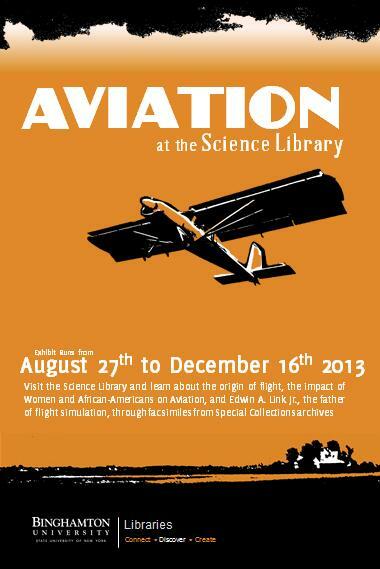 Viewers were invited to deiscover the rich early history of Aviation through books and materials from the Science Library and Special Collections. The exhibit focused on early innovations and public perceptions of flight; the impact of female and African-American aviators on overcoming gender and racial barriers; and the influence of Edwin A. Link Jr. and Marion C. Link who had tremendous impact on training and flight simulation and donated thousands of items to Special Collections. 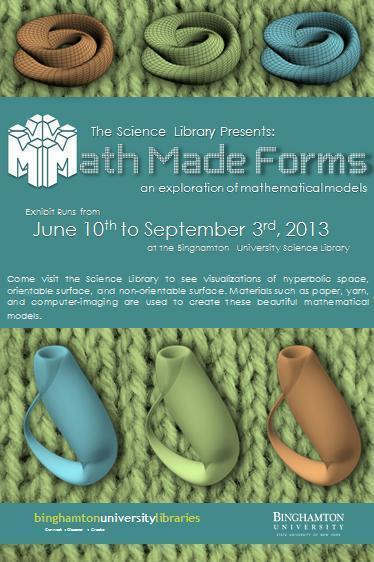 This exhibit invited viewers to see how math can be visualized through knitting, crochet, and origami. Mathematical models take three dimensional shape in the exhibit Math Made Forms: An Exploration of Mathematical Models. On display were various models depicting hyperbolic space and polyhedra. These models were handcrafted by Binghamton University Libraries' faculty and staff. Also featured were books and resources to help you learn more about these fascinating geometric shapes, as well as how to make your own. Visitors were invited to view our Boccaccio's Plague exhibit to learn about an illness so devastating it was termed "The Black Death." As a tribute to the Center for Medieval and Renaissance Studies Conference, the Science Library showcased the plague through Boccaccio's The Decameron written in the mid-14th century in Italy. When did the plague break out? How far did it spread? What effect did it have on Religion? And what medical techniques were used to treat the stricken? Various texts answered these question and more, and were on on display from January 28 through May 19th. This exhibition was in support of the Center for Medieval and Renaissance Studies Spring Conference Boccaccio at 700: Medieval Contexts and Global Intertexts, April 26-27, 2013.